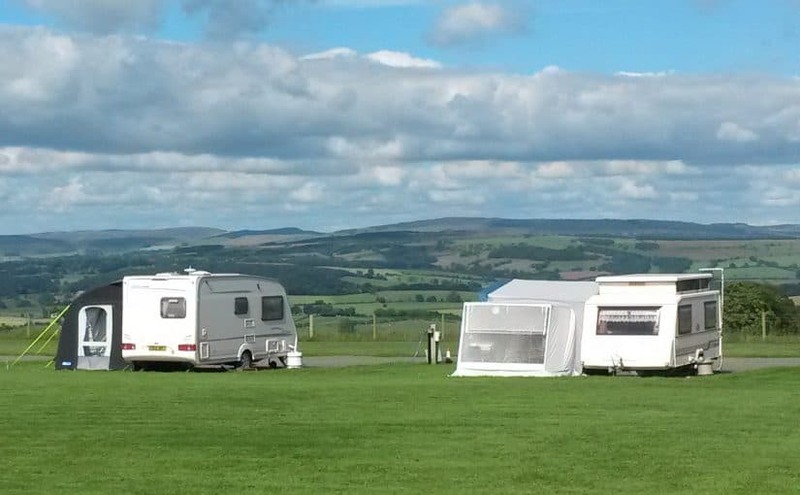 The site is open from March 1st to October 31st for members of the Camping and Caravanning Club. We accept payment via cash or card. Please note there are no toilet/shower facilities on site. No additional charge for awnings. No additional charges for more adults. No additional charges for children. No additional charges for more cars (none electric). No additional charge for dogs, but conditions must be adhered to. Arrivals after 12, departures before 12. Campers must bring their own chemical toilet. Dogs kept on a lead at all times and waste dealt with responsibly. The site owner shall not be liable for any loss, damage or injury. Noise to a reasonable level after 11pm. Site users must follow The Country Side Code. While we have a road and hard standing for the caravans/motorhomes and cars the rest of the field can get very wet at certain times of the year. Therefore, if you wish to put up an awning or have children who wish to play on the field please contact me to find out the condition of the field before your visit. Dogs must be kept on a lead on site and waste dealt with responsibly. Date you would like to arrive?